White Diamond Details: 100 Round brilliant cut white diamonds of F color, VS2 clarity, of excellent cut and brilliance, weighing 2.32 carats total. 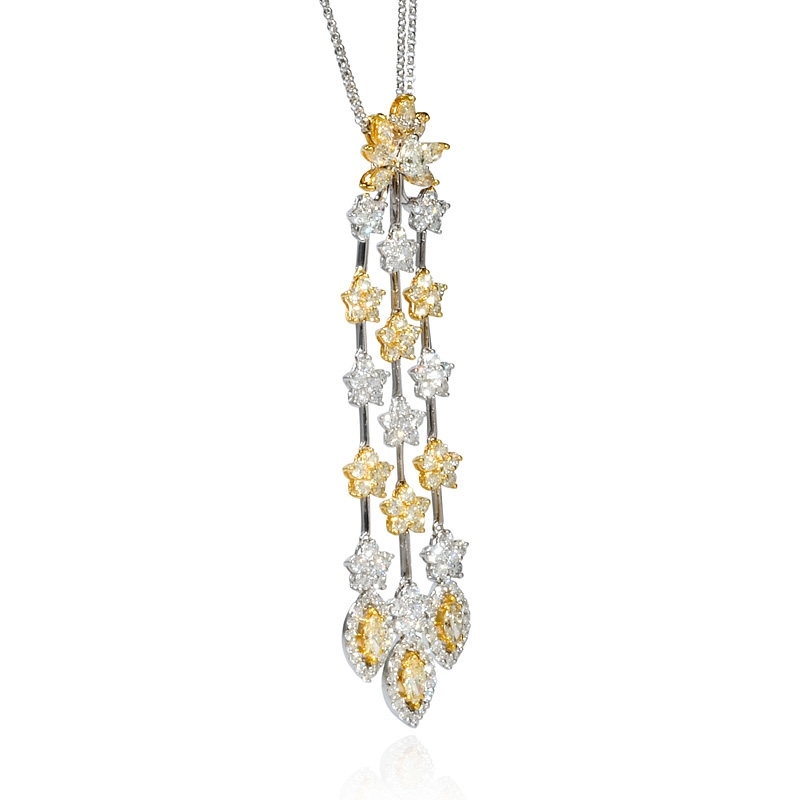 Yellow Diamond Details: 10 Marquise cut, 1 pear cut and 36 round cut yellow diamonds, weighing 2.76 carats total. 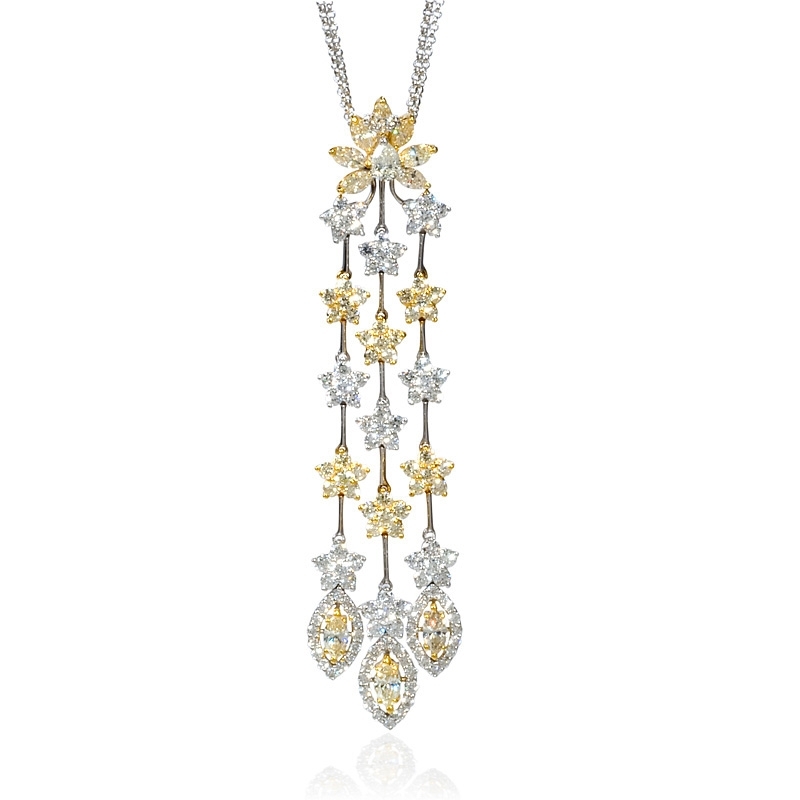 Pendant Details: 18k white and yellow gold. Measurements: Double chain measures 15 inches in length and the pendant measures 3 inches in length. 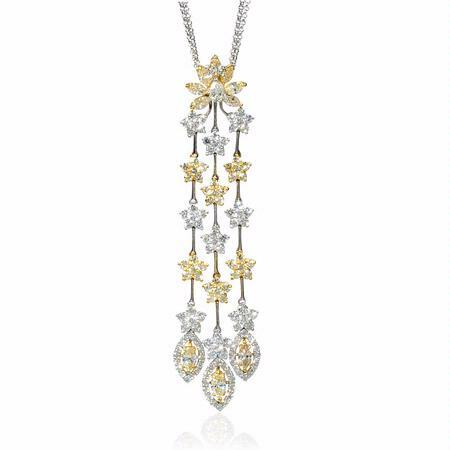 This beautiful 18k white and yellow gold pendant necklace, designed in Italy, contains 10 marquise cut, 1 pear cut and 36 round cut yellow diamonds, weighing 2.76 carats total with 100 round brilliant cut white diamonds, of F color, VS2 clarity, of excellent cut and brilliance, weighing 2.32 carats total. 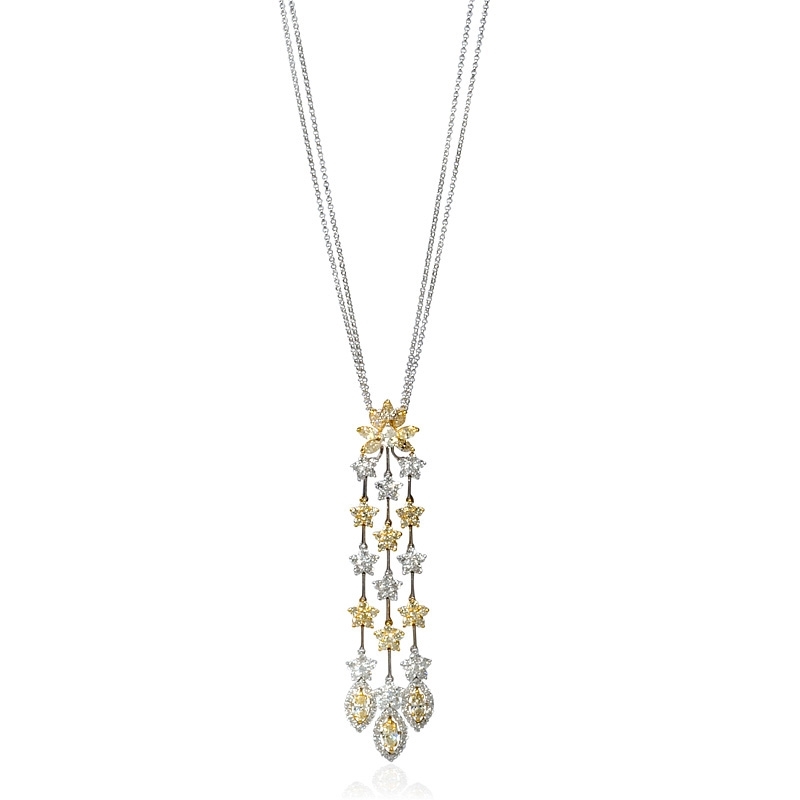 The double chain measures 15 inches in length and the pendant measures 3 inches in length.